Pickr might look like every other webpage, but it comes loaded with some extra functionality, ideal if you’re keen to get some research done in your quest to find a new product. For starters, you can search for a product using the search box to the side orÂ the one found on the front page, and this will check through our database of products for something recent. Type in the first few letters of the product name like “S6” for something from Samsung, or “iPhone” to get Apple’s list. After finding the product, you’ll be able to view it and check out all of the local reviews handled by experts first, clicking on each to take you to their respective webpages. The important specifications are also listed below these, as are some international reviews, and you can even check out more pictures in the gallery section or leave your own reviews if you like, to say good thing about the product or warn others of your experiences. There’s even a tab to help you find where you can buy the products, because we know that’s important, too. But there’s also a comparison tool if you want to look at more than one product. Comparing a product is easy with Pickr, and you simply need to press the Add to Comparison button to pull up a special comparison sidebar. This little feature will let you add up to three products to the comparison system and compare them side by side, checking out how the reviews and specs stack up in a special page made just for you. 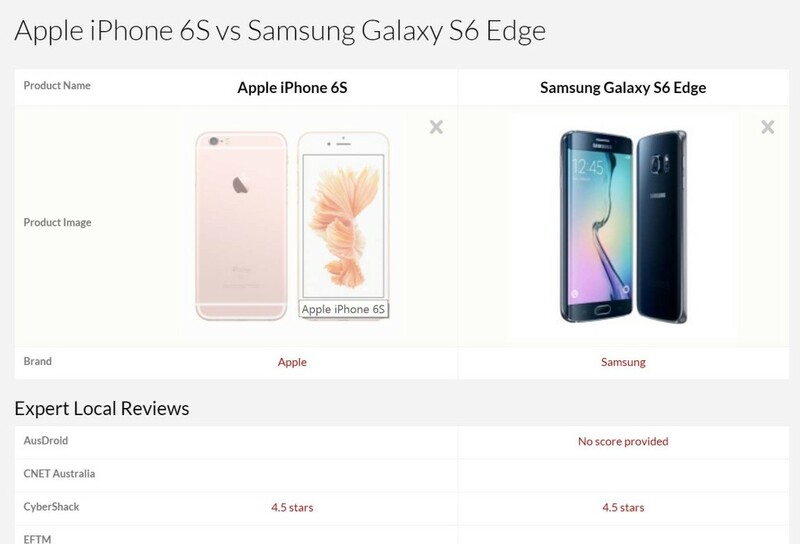 Curious how the Apple iPhone 6S stacks up to Samsung Galaxy S6 Edge? You can find that out simply by adding them to your own comparison, complete with links to the reviews in case you want to read more on each product. 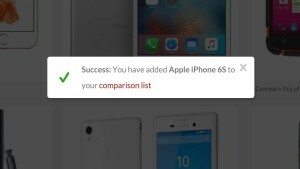 When you add any item to your comparison list, a little box will pop up informing you that you’ve done that, and giving you a link to your special comparison list. At this page, you can add more products simply by searching for them, or alternatively just browse the Pickr website and add them whenever you see another Add to Comparison List link. You can also remove the items by pressing the “X” on a product on either your own personal comparison page or using the overlay, which can be brought in from the side. 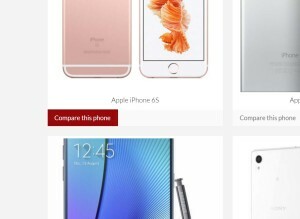 Pickr’s comparison feature will appear automatically on every page the moment one product has been added to the list, but you can easily remove by clicking its special handle, a big + found near the bottom. Don’t be afraid to try it out, either, as this tool was the reason Pickr was built, allowing you to compare and contrast features and reviews to help you find the best product for your dollar. Comparisons work whether you’re on a mobile, a tablet, a laptop, or a desktop, too, making them ideal for use whenever you’re looking for the next gadget, whether you’re at home or out and about.